This panel addresses what new writers need to do once they have material ready to go out to the masses. The shifting 21st century digital frontier means the age-old methods of building a career have been rendered irrelevant. This group of Hollywood screenwriters and graphic novel creators share insider information, publishing secrets, and the professional realities on how to develop your ideas into a viable property and market yourself accordingly. Moderated by 2015 Disney/ABC Writing Program winner and 2014 Eisner Award nominee Brandon Easton (Marvel’s Agent Carter, IDW’s M.A.S.K. 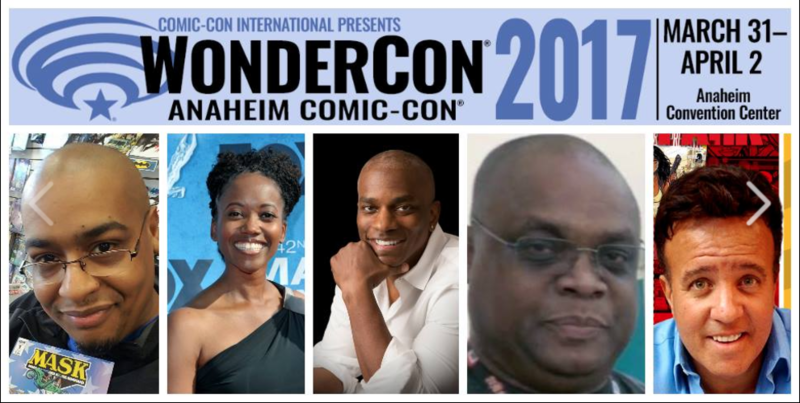 ), the panel includes TV producer Geoffrey Thorne (The Librarians, Marvel Comics’s Mosaic), NAACP Image Award-nominated director/writer Eric Dean Seaton (Disney’s MECH X-4, Legend of the Mantamaji), actress/writerErika Alexander (Concrete Park, Get Out), and artist/writer Tony Puryear (the Schwarzenegger film Eraser, Concrete Park). Legend of the Mantamaji:Bloodlines Debut Exclusive!